"In research, if you are really passionate, then no matter what the subject is, you will go very far"
What is epigenetics? What does it take to carve a career in cancer research? Head of Chatterjee Lab in University of Otago’s School of Medicine, Dr. Aniruddha Chatterjee, speaks to BrainGain Magazine. Dr. Aniruddha Chatterjee is Senior Research Fellow (University of Otago) and Rutherford Discovery Fellow (Royal Society of New Zealand). He also heads the Epigenetics, Disease, and Phenotype Laboratory which is working towards a better understanding of cancer. His has been a remarkable journey. You can read more about it here. Q: What is epigenetics? How is it related to the study of cancer? A: Basically, at a molecular level, what makes us is the DNA. The letters of the DNA, and we have four [of those], make us. We have three billion letters in a cell that tell us what to do, who we are, and everything. That is genetics. Your DNA sequence that you inherit from your mum and dad (50% from your mother and 50% from your father) - it is like a book. There are letters in a book, but you [also] need bookmarks to read a book. You can’t just open any page and start reading. So, it’s instructions that you need. And epigenetics is a kind of instruction manual for the DNA. It sits on top of DNA and decides how the DNA behaves. In my area, in cancer, what happens is normal cells change into abnormal cells; [they] become neoplastic, [they] become cancerous and eventually become tumor cells and it divides like crazy, it rapidly divides. The gene sequence sometimes changes. But then to get to the stage of rapidly expanding, it also needs lot of additional changes. Many of these additional changes are epigenetics. So, the instruction manual of our DNA changes: [we find] the same cell from our body, which was a normal cell, is now behaving very differently. Q. Please tell us about your work in epigenetics? A: My lab focuses on understanding these changes at the epigenetic and DNA [level], that allows [malignant] cells to behave the way they do. If we can understand it, [then] as a next step, we can try to stop it and block it. And we can try to modify it, to see if we can bring it back to its normal state. Also, the genetic profile, or makeup, of an individual can possibly tell us how a patient or individual is going to respond to a particular treatment, because the genetic makeup might have a role in responding to a treatment, or not responding. So, the treatment can be managed differently. This is what my lab works on broadly. Q: What distinguishes the epigenetics program at University of Otago from other universities? 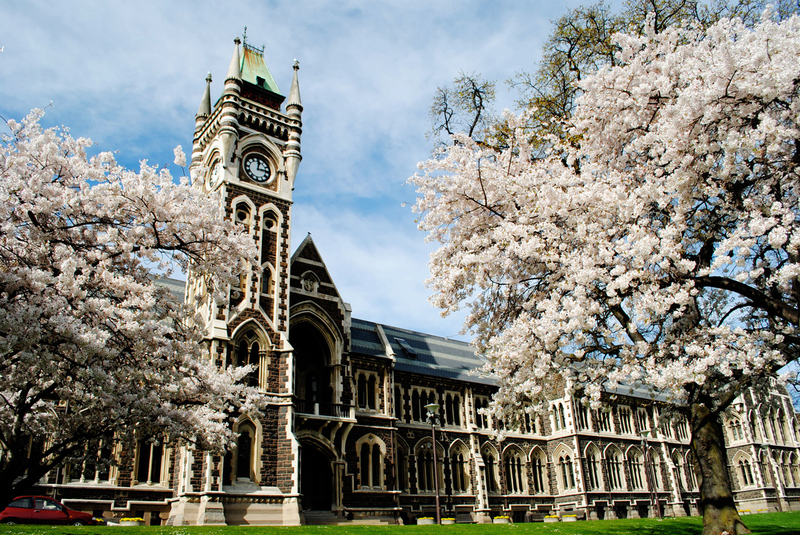 A: New Zealand only has 8 universities; the scale is small compared to a lot of other countries. But they are very high quality. All NZ universities rank in the top 3%. Otago certainly is very-very highly ranked, especially for medicine related research and some other areas. There has been a long-standing history of 15-20 years of some groundbreaking work in epigenetics, since the early 90s. Recently, some colleagues and I hosted an epigenetics user group symposium. We had a huge turnout for that. So, historically, there has been a lot of focus on epigenetics, and the university has built upon that. Q: In India, there is pure science research, but it is not at the level of a country like New Zealand. We also think that careers in applied science give surer return on investment. What do you want to say to someone who aspires to a career in research? A: The important thing is that if someone has a passion, they should be encouraged. And it really doesn't matter [whether] it is pure science. It’s the passion and interest that matters. Sometimes what happens is that [students] don't really know whether the step they are taking is driven by passion, or by societal pressure. I don’t think those reasons are [great] reasons [to go into research]. Don’t restrict yourself by thinking only about residency, where you will work, and earning in dollars. I know our society’s economic structure is very different; these thoughts will come because there is a lot of investment. Along with that, think about the skills you will gain, why you are doing this, and things like that. For science and for research, if you are really passionate, then no matter what the subject is, I think you will go very far. It will give you a lot of satisfaction in the end. This should be encouraged. The world will always need good people, good scientists and good engineers. If you are really good at it, you will make it. 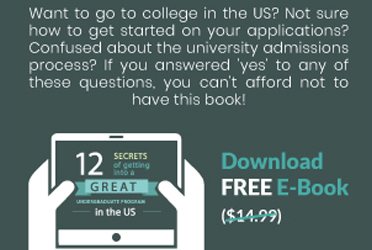 Q: Finally, if there’s a message you would like to give to international students. What would it be? A: I would say focus on learning and the skills you will gain rather than focusing, from the Indian perspective, on getting a green card or a residency. If you focus on skills that you want to acquire and exactly what course you are going for, and why, you will make a better choice in selecting the right course and skill. This will allow you to do so many other things! It will be really beneficial as you go forward.